Activities Independent travel in Bulgaria has slowly becoming more common; costs are low, and for the committed there is much to take in. The main attractions are the mountainous scenery and the web of towns and villages with a crafts tradition, where you’ll find the wonderfully romantic architecture of the National Revival era. Foremost among these are Koprivshtitsa in the Sredna Gora range, Bansko in the Pirin mountains and Plovdiv, the second largest city. For city life, the bustling, if rather faded capital, Sofia, and the cosmopolitan coastal resort of Varna are the places to aim for. A land rich in unspoiled nature, abundant wildlife, history, fine architecture and orthodox art, but most of all – a land, boasting some of Europe’s finest mountain sceneries! Still untouched from mass tourism and hiding spectacular views for the traveler who seeks authentic, rural villages with traditional architecturere in a mountain background with sweeping panoramas…. Experience you have dreamed of! There is so much for you to do and see in Bulgaria…..from bird watching, mountain climbing, hiking, mountain biking, skiing, and of course the beach. From Sandanski the beach is 35 minutes through the Greek border on a straight motorway to Thessalonika and the white sea…..a wonderful day trip. 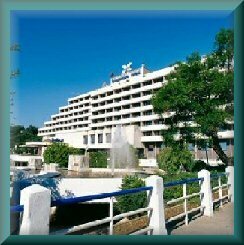 Don’t forget the spa’s, in Sandanski itself. The Mountains around Sandanski are breathtakingly beautiful and accessible for people to explore. High above the town there are numerous mountain trails that are suitable for any standard of walker, from the very fit to the couch potato! Hiking is open to anyone of any age and any level of fitness (dependent on chosen trail). The hiking trails, both around Sandanski are spectacular. The scenery in the mountains is absolutely outstanding and most trails lead either to, or past a lake. With 120 mountain lakes in the Pirin mountains of varying size it really would be a shame not to visit at least 1 or 2 of them. There are mountain huts strategically placed in different parts of the mountain for the hardened hiker to over-night safely. Depending on how much (or little) exercise is wanted the area around SANDANSKI is perfect for exploring by bike. From pure adrenalin rush to gentle mainly down hill put your feet up kind of cycling, SANDANSKI has it all. With many rural villages that are within easy cycling distance from SANDANSKI its the perfect way to explore this beautiful part of the country. 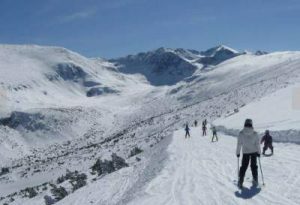 Skiing and snowboarding are just over an hour from SANDANSKI at Bansko, and while you enjoy your holiday in a mild climate, try a day visit to the snowy mountains and experience the difference of the two climates so near together. Bulgaria has 37 mountains. The biggest ones among them are the Balkan Mountains (with length about 550 km. and width – 30-60 km.). The highest are Rila Mountains (with Mount Musala – 2 925 m a.s.l.). Each mountain has its own characteristic appearance, fascination and beautiful name. The Pirin Mountains are comparable to the Swiss Alps and the most beautiful in Bulgaria. It is the second highest after the Rila Mountains (in Bulgaria) and the third in the Balkan Peninsula (mount Vihren 2914 m a.s.l.). Pirin is situated in the south-western part of the Rila-Rodopi mountain range. Pirin has the typical climate of a mountain but with a well-expressed Mediterranean influence, mainly through the valleys of Strouma and Mesta rivers. This is why Pirin is the mountain with the greatest number of sunny days throughout the year in comparison to Rila, Balkan Mountains, Vitosha and Osogovo. 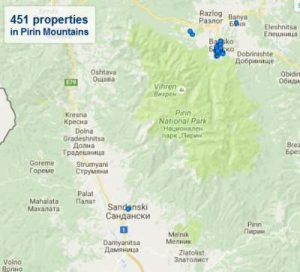 Pirin’s borders are: to the north – Rila Mountains; to the east – the valley of Mesta divides Pirin from the Rodopi Mountains; to the west – it reaches the valley of Strouma; to the south – the mountain is bordered on Slavyanka and Stargach. The area of the Pirin Mountains is 1210 square kilometres and it is divided into three parts – Northern Pirin, Mid-Pirin and Southern Pirin. 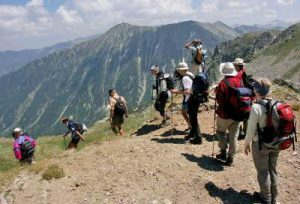 One week trekking trips through Bulgaria have become very popular, since they are an ideal way to get to the heart of Bulgarian life and customs, offering a wonderful insight into the local population, who always have a warm welcome for the unexpected visitor. It is really an experience not to be missed! In the northern-hemisphere winter, Samokov, Borovets, Bansko and Pamporovo become well-attended ski-resorts. Summer resorts exist on the Black Sea at Sozopol, Nessebur, Golden Sands, Sunny Beach, Sveti Vlas, Albena, Saints Constantine and Helena and many others. Spa resorts such as Bankya, Hisarya, Sandanski, Velingrad, Varshets and many others attract visitors throughout the year. Bulgaria has started to become an attractive tourist destination because of the quality of the resorts and prices below those found in Western Europe. Bulgaria has enjoyed a substantial growth in income from international tourism over the past decade. Beach-resorts attract tourists from Germany, Romania, Russia, Scandinavia, the Netherlands and the United Kingdom. The ski-resorts have become a favourite destination for British and Irish tourists. Take A Break Holidays takeabreakholidays, Activities Accommodation.